I got lucky and had a snow day on Thursday, so I took my time off to do something I’ve been meaning to do around here… I created a Flickr account. You can access it from that funky little blue icon up there on the right, next to that blue Facebook icon and that blue Twitter icon. Seriously, what is up with the social networking sites and the blue! Mike also made a little navigation bar up top to add a few more features and clean up the design of the site. I have a couple of extra changes I want to make to make sure this site is easy for you guys to use and find things. Flickr is smart enough to know what camera I took each picture with and when it was taken (for the most part, some pictures are marked as the date they were uploaded), so please excuse the poor quality of the iPhone pics. I want to eventually get a room by room tour up and maybe even make Flickr sets of rooms from start to finish. I haven’t decided how to execute it yet, but it’s in the works! Looking at these pictures make me happy, it was such an exciting, nerve-wracking and fun time. I still look at them and think, holy crap, we did it. 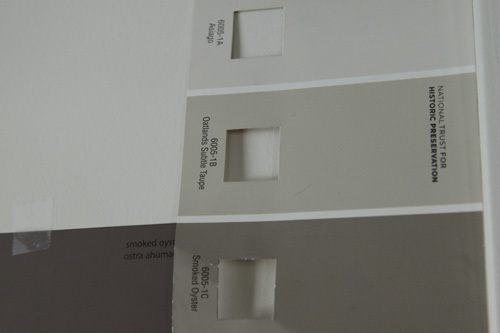 On the left is Benjamin Moore’s Smoked Oyster. 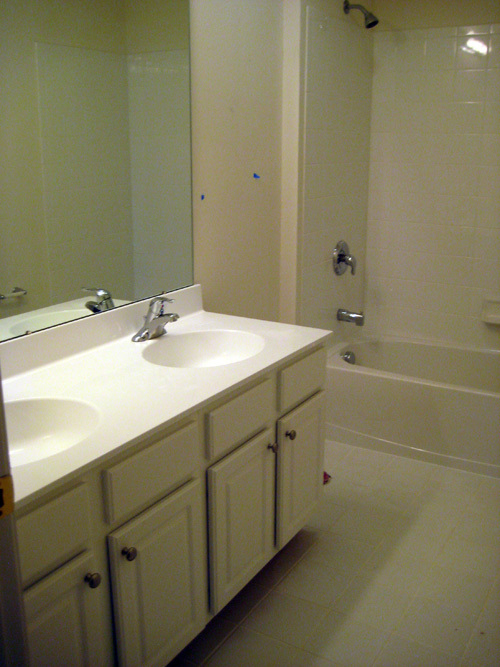 We used this color in our condo bathroom and loved it, so we’re planning to use it for our office. It’s a nice purpley/gray color. 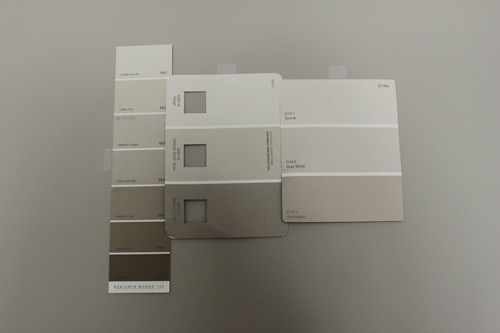 On the right is Valspar’s Smoked Oyster, it is a taupe color and we used the color one shade lighter for our walk-in. 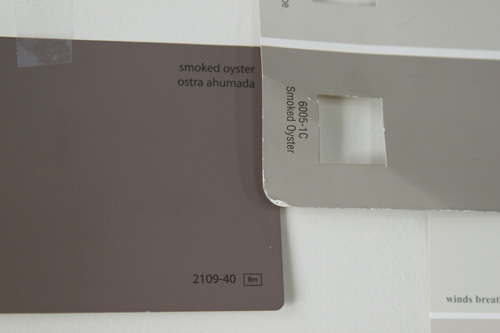 So when I looked for the closet color, I spotted this Smoked Oyster and assumed it was the old bathroom color. I even looked at it and was like wow! It looks so much more brown than purple in the new house! Then I found the other Oyster and realized. How weird is that? I am still leaning towards the closet color, which is the center swatch, center color. 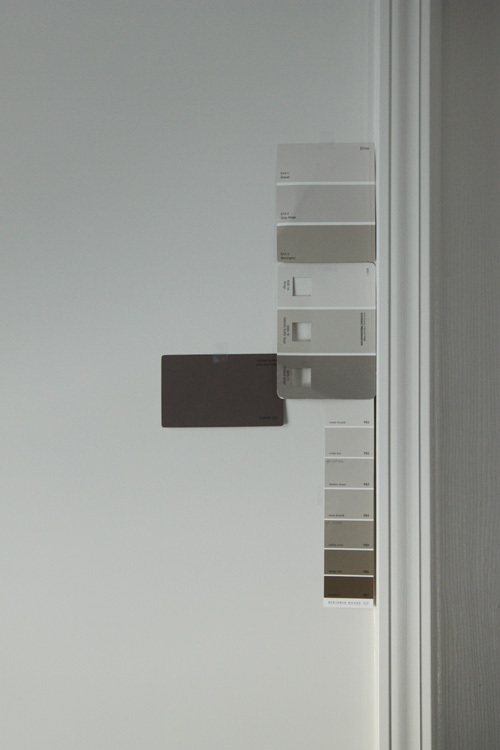 It is called Oatlands Subtle Taupe by Valspar. I’ve learned, mostly the hard way, that neutral beige type colors have either a pink, gold or gray undertone to them when they get light. Our first painting attempt in our condo resulted in a pinkish beige hallway. Our second painting attempt resulted in a goldish beige hallway. 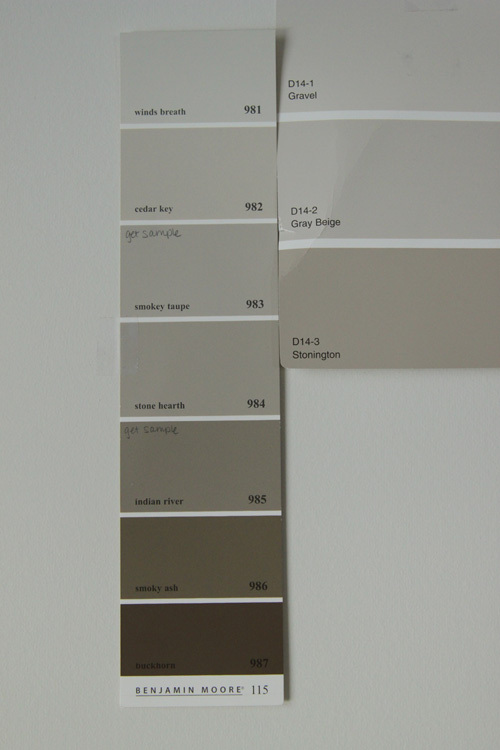 Then we moved here and wanted taupe and well, we ended up with a silvery hallway. 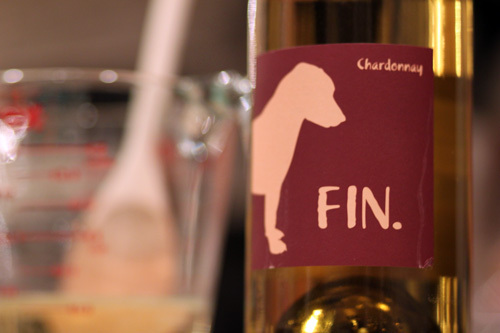 Which is fine because even though it’s not what I imagined, I like it anyway. And gray is like the new brown right now! 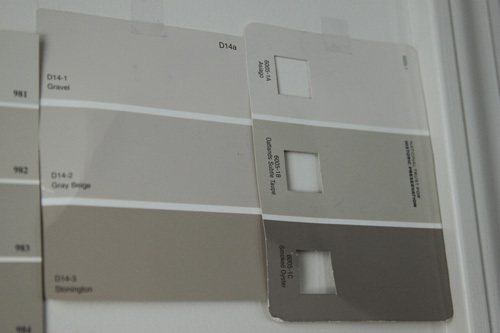 My other potential front runner was Gray Beige, the middle color in that middle swatch there. But looking at the colors surrounding it, the Gravel and the Stonington, it’s reading a little peachy to me. I still want to stay in the taupe family. 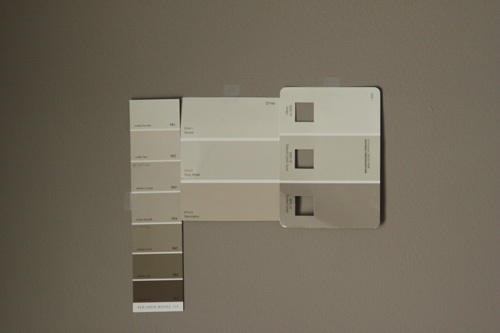 Here are some more Benjamin Moore colors which were actually contenders for the living/dining room and entryway. I even wrote “get sample” on two colors way back when. 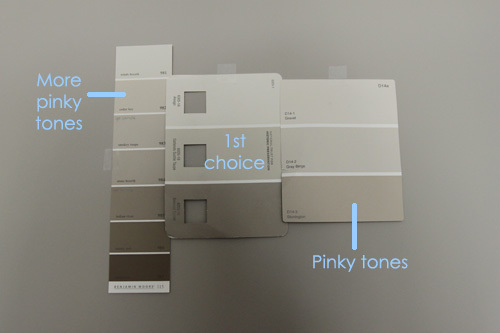 I’d probably go with the second one down for the bedroom, the Cedar Key, and it’s just not rubbing me the right way. Sorry about that shadow, that’s my noggin in the way. But now are you seeing the peachyness of the swatches on the far left and far right? (Sorry I wasn’t consistent with my arrangments!) Once again, my first choice is on the center swatch (the one with the little squares cut out) and the center color. I moved my favorite one again! But its on the right (with the little cut out squares still). 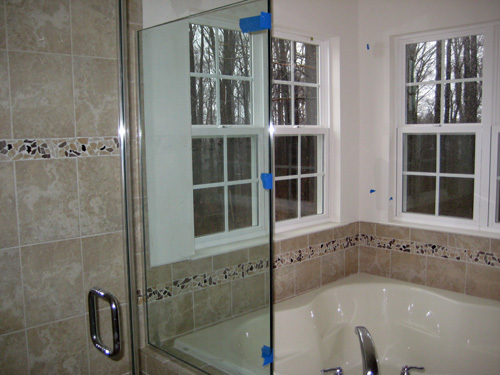 This definitely reassures me that the Oatlands Subtle Taupe is the way to go. I’m thinking of doing our little sitting room area a darker more dramatic shade, so I think the ooother Smoked Oyster may just be it! 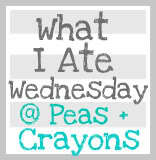 Anywho, my blogging buddy Jenn over at Peas and Crayons is hosting a What I Ate Wednesday link party today. She threatened me asked me to post some things we eat around here. 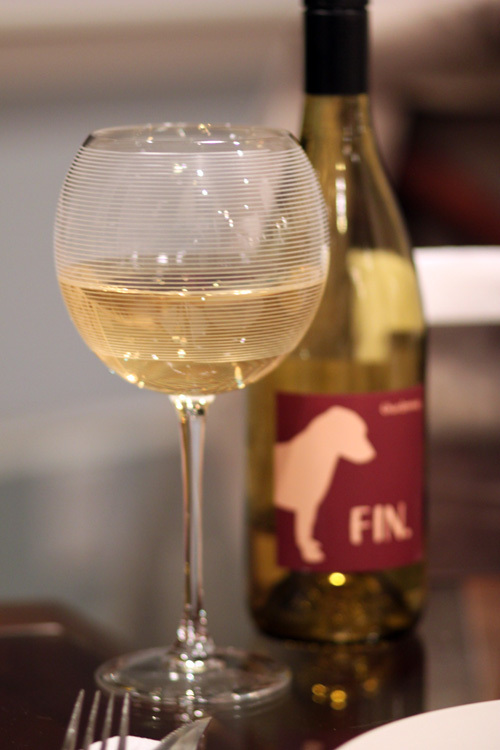 Since Jenn is wonderful, and also happens to be my #1 and #4 most frequent commenter (no really Jenn, you hold 2 spots in the top 10…), the least I could do was post a little recipe from last night! So a little foodie background, Mike and I don’t eat meat and haven’t for about 2 years now. I was never a big meat eater and I originally decided that I wanted to do a grass-fed/free-range diet. We did it for a week and it almost bothered me more to think about what the animals I was eating, were eating! It made them more real to me, so I decided I would rather not eat meat than go the grass-fed route. I never expected Mike to join me, but he decided he was up for the challenge and would see how long he could go. Much to both of our surprises, it’s been almost two years. A major misconception about us is that I have somehow forced Mike into my lifestyle, which could not be further from the truth. Mike loves to cook and was open to trying out new things, so if anything, being vegetarian has made us expand our horizons and try new things. Plus Mike maaay have eaten a rib at a recent bachelor party and I did not kill him in his sleep. See that? I am not the crazy vegetarian lady. Okay onto the food! 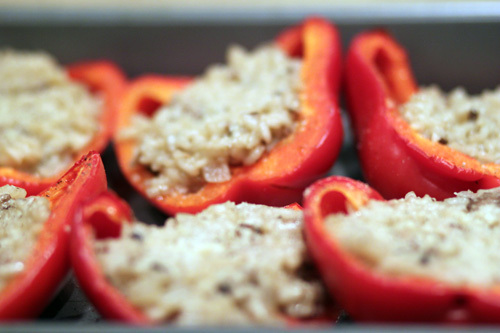 Last night we made some stuffed peppers with white wine risotto. And by we I mean Mike..
We substituted the portobello mushroom for some steak cut mushrooms, removed the sun-dried tomatoes and added some onion. Slice tops off of peppers and scoop out seeds. Place in baking tray. Drizzle with 2 tbsp olive oil, garlic and salt and bake at 350 degrees for 15-20 minutes, or until just barely tender. Meanwhile, heat vegetable broth and 1/2 cup wine over low heat til hot, just before simmering. In a separate large skillet, sautee scallions, garlic cloves in 1/4 cup olive oil. 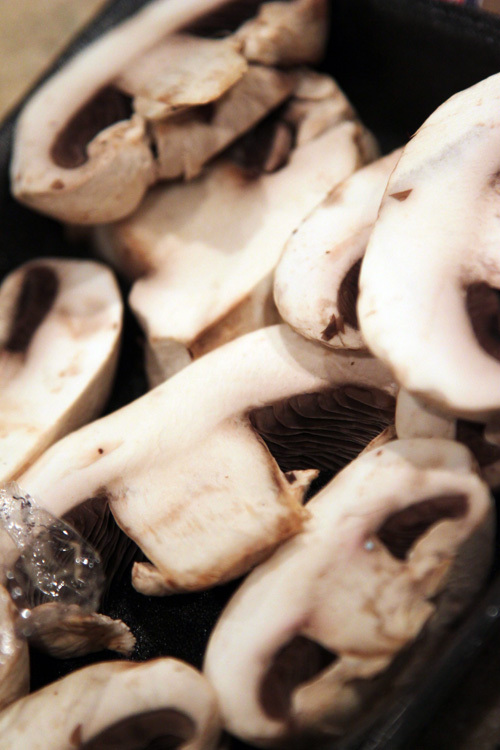 Add rice and mushrooms until rice is toasted, but not burnt, stirring frequently. Add 1/2 cup white wine and simmer one more minute. Add 1/2 cup of the broth and wine mixture to rice. Allow to cook until the liquid is almost absorbed. Continue adding broth mixture 1/2 cup at a time until rice is cooked, about 30 minutes. Add 1 tbsp margarine and 1 tbsp wine just before done cooking. Stuff into peppers. 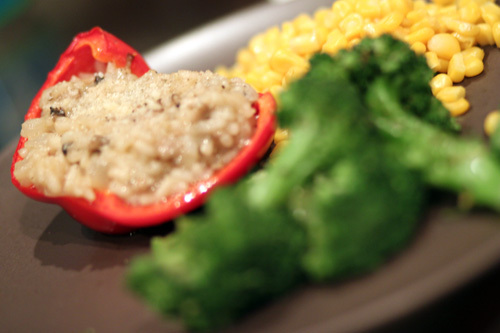 Sprinkle the stuffed peppers with parmesan, if desired, and bake 10 more minutes. For more recipes, crafts and cute animals, head on over to Peas and Crayons! Wow, Rebecca is getting two posts out of me in two days! This calls for another trip to Disney in our future! But really, Rebecca is a bit stressed over some graduate courses, so I figured I’d chip in around here if I had some time. Before I get into this next post, let me tell you a small bit about myself. When I was 12 or 13 years old, I locked myself in my room for a solid 3-4 years learning how to code and interact with databases. Seriously, ask my parents, they used to think I was depressed all the time. Meanwhile I was just trying to retire before 40, I swear. Flash forward to when I was 16 or 17 and I was running a successful music community as a hobby — one because I loved music and two I loved developing code. We slapped a few advertisements on said community and before I even knew it, the thing turned into a business. Oh and I’m still determined to retire by 40. Maybe. We’ll see. At least a vacation home would be nice. And to sum it all up, I once had my palms read while vacationing in Lake George, New York. The nice lady said I’d have a career in music. I walked out of there thinking, “music? 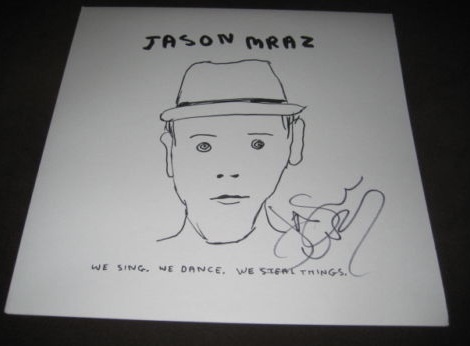 I can’t sing for the life of me.” But only now does that all make sense. Due to all the development I do, I required a decent office when we bought our house. I needed something that could hold my computers and various monitors. But I never wanted it to be that office — random computer parts here and there, wires everywhere and generally one big mess. It had to really portray what we do and what we’re passionate about, while also being completely functional. Since our mantra is always think outside the box and do your own thing, here are a collection of WANTS to hang around the office. 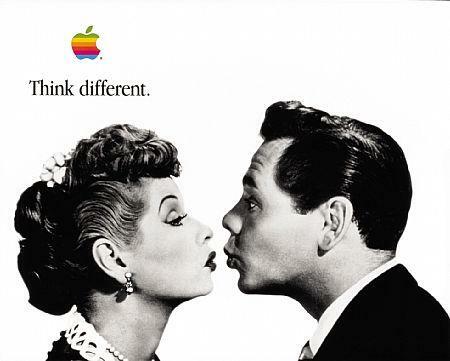 Apple’s ‘Think Different‘ campaign really means a great deal to me. And what better way to portray that than Lucy and Desi? This thing gives me chills just looking at it. eBay is at it again. 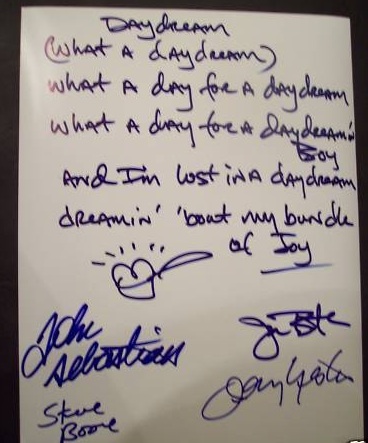 These are the handwritten lyrics to Lovin Spoonful’s Daydream and signed by the entire group. But for 400 beans? Not sure if I’ll pull that trigger on this one either. 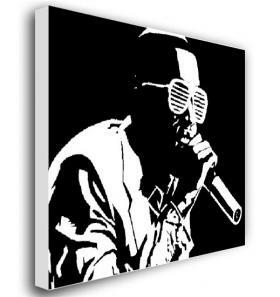 And finally, maybe some pop canvas print art from artforurbanspaces.com. At roughly $60/each, these aren’t all that bad. 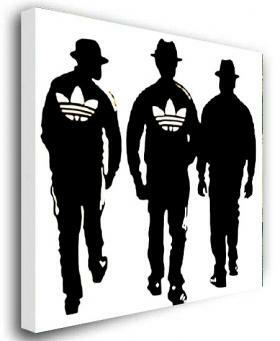 From top to bottom it goes: Run DMC, John Lennon and Kanye West. 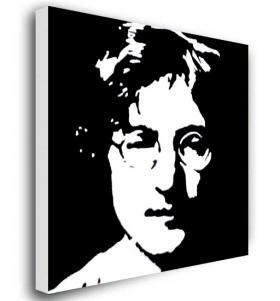 All pioneer artists who continually think outside of the box and are generally non-conformists. We are about to embark on a rather large “project.” And by “project” and we, I really mean they (the builders) are ripping up our existing hardwood floors and laying down new wood. 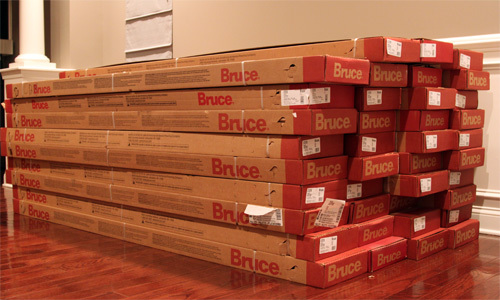 Earlier today, the builder dropped off several large boxes of wood flooring and it is currently sitting in our living room. It’s enough hardwood to replace our entire downstairs. 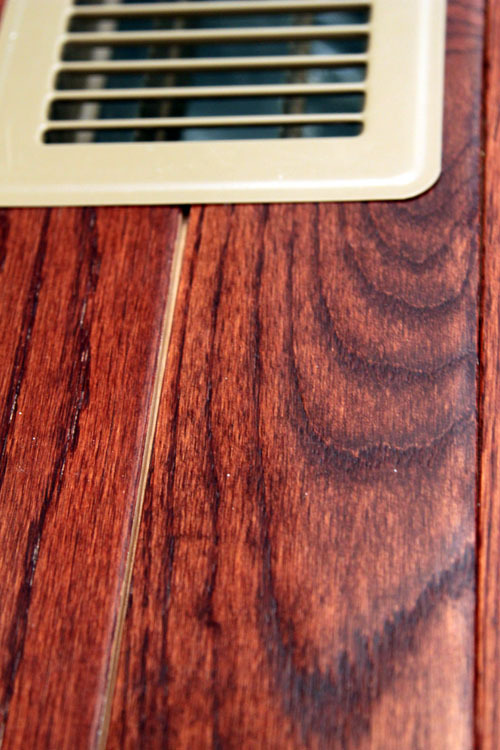 I know, I know, we just moved into a new house with new floors, how could this be? Well, pick your jaw up off the floor and I’ll tell you. 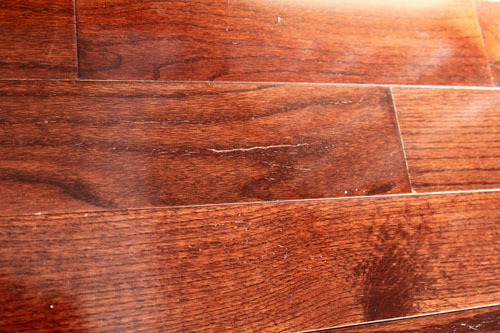 During the first few weeks of living here, we noticed some areas of the wood floors “popped” and “cracked” while we were walking. We shrugged it off thinking it was just the wood settling into place. Several weeks went by and it started getting worse. A lot worse. And then we noticed the floor was slightly raised towards the front of our living room. You can slightly see the wood slanting and pushing towards the wall in the photo below. This rise in the floor also exists in our dining room. On top of the bulging up at the walls, the floors also didn’t lay complete flat. As time went on, they began to bulge and “ripple” throughout in various locations. You can kind of see a “ripple” in the photo below. Oh but it gets worse. Every which way, little cracks and chips started to appear. Before we knew it, we had several of these guys. And finally, planks started to pull apart from one another. We have quite a few of these “gaps” downstairs. I understand hardwood can swell, contract and what not, but these are now permanent. These gaps aren’t a result of humidity or anything like that. 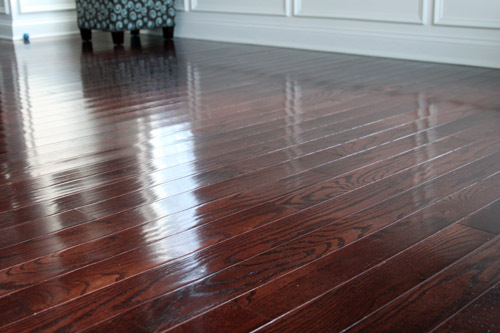 Growing tired of our new floors acting as if they’re hundreds of years old, we filed a complaint with our builder. They came out to check everything out and confirmed everything we were experiencing. A few days later, a floor company was sent out to further inspect. 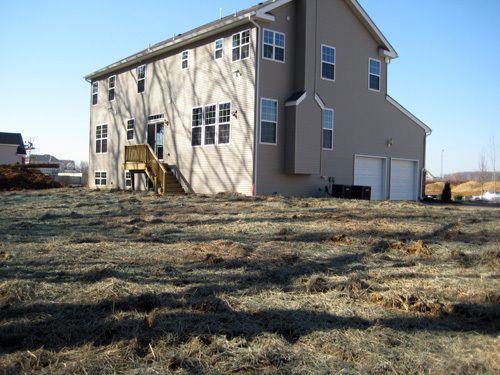 As we met with the floor company, they explained the humidity was a bit high in our house and the builder should have installed a dehumidifier in our basement or at least told us to do so. To them, our issues were a direct result of the humidity. They explained they could fix our bulging floors and our popping wood planks by driving some hundred tiny nails in various locations. They proceeded to do so and for a few days, all was well with our floors. We also immediately purchased a dehumidifier and proceeded to run that puppy 24/7. And then they started to pop. And then bulge. And our issue was alive again. We filed another complaint with the builder and they asked if they could put an industrial sized dehumidifier in our basement to see if that would resolve anything. We said sure and for three weeks, we heard an annoying humming noise coming from the basement. And you know what happened after three weeks? Absolutely nothing. Looking back, we had a much larger issue than just the humidity. 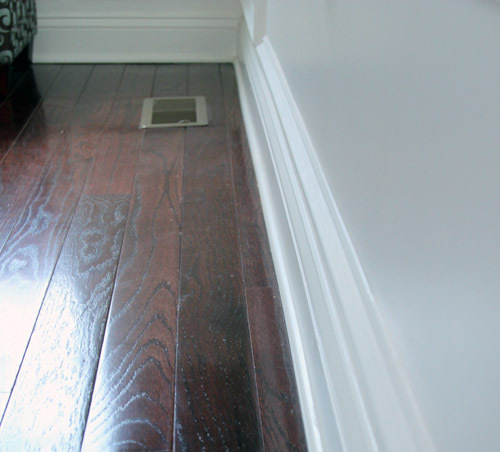 This was a bad install job with bad flooring. At this point, I’m ready to start war. In my head, I’m drafting letters and going over what I’m going to say to the builder. When the builder came to pick up the industrial sized dehumidifier, my heart was pounding and I was incredibly nervous over how the “I want new floors” conversation would work out. Much to my surprise, the builder informed us that they’ll be working everything out to have new floors delivered and installed for us completely under warranty. Later next week, we’ll have a company ripping up our floors and installing new hardwood. While we’re happy these issues will be completely resolved (cross your fingers), we’re not exactly looking forward to the mess this will create nor the stress it will cause our precious Macky (we’re pretty sure he suffers from stress induced seizures).